Porcelain veneers are the most versatile cosmetic dentistry treatment. Porcelain veneers are bonded to the facial surface of the natural teeth to conceal a wide range of cosmetic flaws, including stains, discoloration, chips, cracks, fractures, and even minor misalignment problems. A single veneer can completely transform the smile and provide patients with the straight, white, even teeth they’ve always desired. If there were one potential downfall to porcelain veneers, it would be that they don’t last forever. Though they are extremely durable, porcelain veneers do have an average lifespan of about 10 years. Fortunately, when a set of porcelain veneers wears down or becomes damaged, they can be replaced. At PQ Family Dental, we offer same-day porcelain veneers replacement to our Rancho Peñasquitos, CA patients. When Should Veneers Be Replaced? 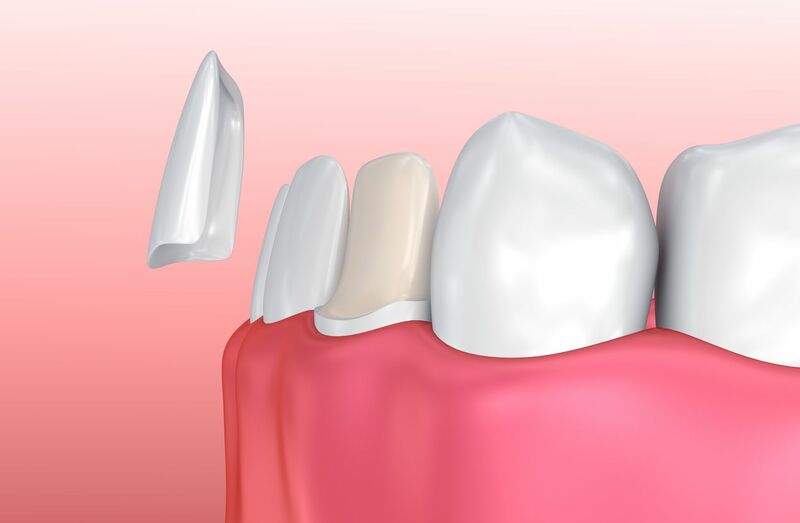 When porcelain veneers are placed, a thin layer of tooth enamel is removed to accommodate them. Once this has been done, the teeth will always need to be protected by porcelain veneers, so replacement must be done as soon as possible. If porcelain veneers are being replaced because of oral health problems, those conditions will need to be addressed before new veneers can be placed. However, if porcelain veneers are being replaced for cosmetic reasons, then our dentists can remove the old veneers and provide patients with a new set of veneers in just a single day. Porcelain veneers replacement will begin with the removal of the patient’s original veneers. The teeth will already be shaped to accommodate veneers, but we will need to thoroughly clean the teeth to remove the composite material that was used to bond the veneers in place. Once the teeth have been cleaned, we will take a series of digital molds and images to plan out the new set of veneers. These images will be taken using our CEREC® technology. Thanks to this equipment, porcelain veneers can be designed and constructed in-office, while our patient waits. When the veneers are complete, they will be tested for fit, and then bonded to the facial surface of the teeth so that patients can enjoy their new, beautiful smile. Whether you are interested in enhancing your smile with porcelain veneers, or need an old set of veneers to be replaced, the experienced dentists at PQ Family Dental can help. Schedule an appointment at your earliest convenience to learn more about same-day porcelain veneers.